All recipients of the following certificates of award must be members of a Friends group in Florida. Applications may be made for more than one category in any given year. More than one or no award may be given in any category at the discretion of the judges. Winners of the same award for 2 consecutive years must wait 2 years before applying again in that same category, although they may apply for any of the other categories. 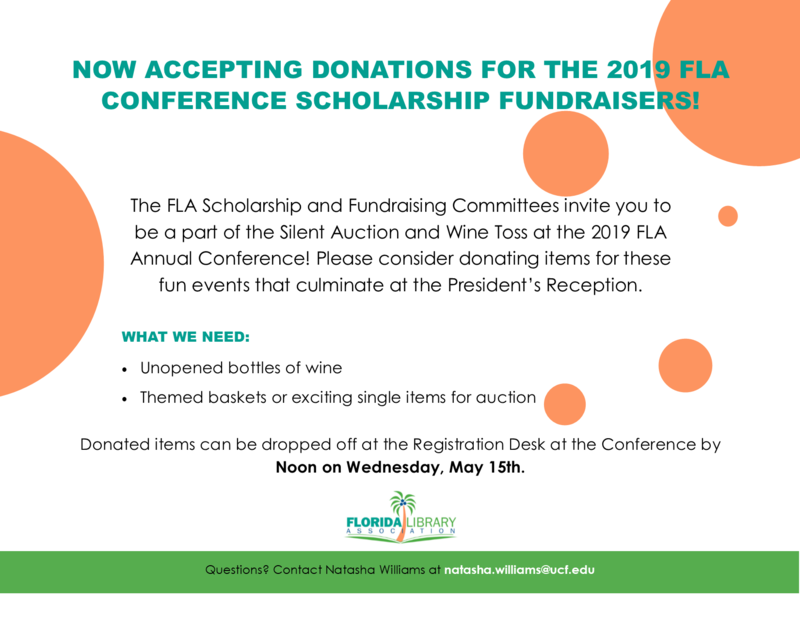 An extra point will be awarded to all applicants who are members of FLA.
A narrative should be submitted with each award application providing the requested information. This narrative is used as part of the evaluation process. Related photos are encouraged as part of the application. Download a Friends, Foundations and Boards Awards Nomination Form. This award is given for the most significant increase in membership, by number and/or percent. Documentation required includes a narrative describing the objectives of the membership drive, documentation about special membership solicitation, a report on achievement including increases in absolute numbers and in percent, membership figures for the most recent three years and sample membership form(s). The time period must be within the last fiscal year. Criteria will include quality and content of membership materials, campaign objectives and achievement. This award is given for a newsletter produced by Friends, demonstrating a high quality of writing, as well as promoting libraries, library programs and the Friends. The newsletter must truly be a Friends' newsletter, as opposed to a publication written and produced by library staff. Documentation required includes samples of four most recent newsletters and a narrative describing the purpose and intended audience, planning, creation and personnel involved as well as method of distribution and recipients. Criteria will include purpose and intended audience, method of creation and personnel involved, effective promotion of Friends and library, appearance (layout, graphic design, formatting), appeal of content & quality of writing content. This award is given for programming activities, festivals, and public relations events that attract the community to the library. Documentation required includes a narrative describing general description of the event, involvement of volunteers, statement of benefit to the library, publicity including handouts, printed programs, newspaper clippings and comments from the public, and a report of attendance/participation. Criteria will include creativity and effectiveness of the event, community response (appropriate to the size of the community), caliber of publicity material, benefit to the library and involvement of volunteers, such as committee work. The event should be held within the past year in which it is nominated. This award is given for a library related project carried out by the Friends, such as book sales, gift shops, cultural and literary workshops or discussions, homework assistance, literacy training, selling book bags - in other words, any library related project that the Friends group carries out. The event should be held within the past year in which it is nominated. Documentation required includes a narrative describing the purpose of the project, resources involved, results of the project and measure of community response appropriate to the size of the library system. Samples of products and publicity should be included. If the project is a fundraiser, budget and final amount realized should be included. Criteria will be similar to those for outstanding program. The project may be a continuing one, such as a book sale. This award is given for a Friends web site that promotes the Friends, the use of the library, shows good design, is user friendly and provides current and upcoming information, as well as general information such as membership form. The web site must be separate from the library web site; although a link may be provided. Documentation required includes a narrative with the web site address, purpose of the web site, who developed and maintains the web site, description of how web site was developed and is maintained, guidelines for material to be included and frequency of updates. Evaluation criteria will include evidence that it is truly a Friends Web site, visual appeal and appearance, arrangement of information and ease of use, usefulness and currency of content, speed of navigation and downloads, as well as how effectively it provides information on the Friends and the library.